Structured carriers (any carrier that attaches straps to a body panel) call for very strong fabric - not only does it have to bear weight, it also has to bear weight along several seams. Recommended fabrics are 7oz linen, cotton duck (the 185gsm Waverly duck sold at Walmart is fine for most of a structured carrier, but not strong enough for the interior layer that the straps are anchored to), heavy twills, 7oz+ denim, and upholstery fabrics. Any fabric that is safe for a wrap or sling is typically fine for use for most of a structured carrier, but it is preferred to use a heavier weight fabric, such as 7 or 9oz cotton canvas or denim for at least one body panel to anchor the straps to. NO weight bearing piece of your carrier should be made from anything with ANY stretch or a thin fabric like muslin, quilter’s cotton, or lightweight apparel fabric. That includes wrap straps! Knits are tempting for wrap straps on a MT, but are EXTREMELY difficult to seam safely, sag under weight, and should NOT be used. Leave the knits for three-pass stretchy wraps. For more information on choosing a safe fabric, read the 4 Rules of Fabric Selection page. For hems and non-structural stitches, you can use just about any thread you like, and any stitch type. Most people do a standard straight stitch, but some people choose to use a decorative stitch or zigzag along one rail of a wrap in order to tell the two rails apart. Polyester thread will be stronger and less likely to break under tension, but keep in mind that if you dye your wrap later, polyester thread will not take the dye. Cotton thread will dye, but if your fabric has any "give" to it, it might snap under the tension of simply tightening the wrap. 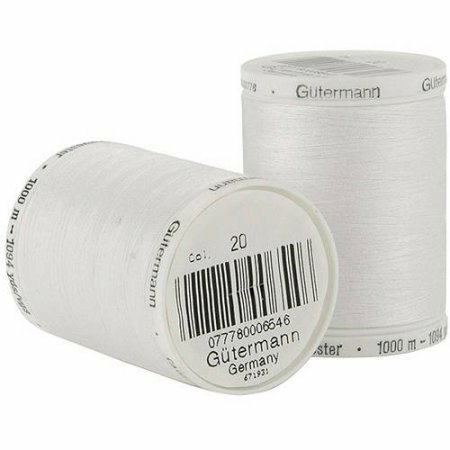 For anything structural, including the x-boxes used to secure straps to a body panel, a flat felled seam to make a long tablecloth wrap, or the three lines of reinforcement stitches on a ring sling, you will want 100% polyester all-purpose thread. Avoid heavy-duty threads unless you have a lot of experience working with them - they tend to jam up home sewing machines pretty bad and the extra thickness is not necessary if your carrier is properly reinforced. Gutterman is the gold standard for high quality, but any brand is typically fine. You can safely make a sling or structured carrier out of a purpose-woven wrap. It is recommended to serge/overcast stitch the cut edges to keep them from unraveling before assembling your carrier. (This same rule applies when using a jacquard-woven tablecloth.) If you don't have a serger, you can simply run a zigzag stitch close to the edges. Since you will either need to sew through both layers of a 2-layer body (leaving visible x-boxes) or have a third hidden layer (which would waste wrap you can’t see) most people choose to hide their x-boxes on a hidden layer inside of something cheap and boring, like twill or heavyweight linen. (More on x-boxes below.) Similarly, with a wrap conversion ring sling, you would work with it just like any other fabric, but it is usually a good idea to serge or zigzag the cut edge while you are sewing your shoulder to keep it from unraveling while you work. Most structured carriers have two main elements: straps and a body panel. While those vary in style (a meh dai might have long wrap straps, where a buckle carrier would have short padded straps with webbing and buckles, and the bottom of an onbuhimo would have very short straps sewn into loops or around rings) what they have in common is that these straps MUST be well anchored to the body panel. The general rule is to have enough extra strap to overlap it with your main body panel piece by at least 3"-5” and then attach it with an x box (literally a rectangle with an X going from corner to corner, all sewn with one continuous line of stitching) and go over the x box with 2 or 3 lines of stitching. Use an all-purpose 100% polyester thread for strength. Straps should ALWAYS be attached using a machine, never sewn by hand. Machines offer more consistent tension and stitch length than can be achieved by hand. A common question regarding soft structured buckle carriers, meh dais, and onbuhimos. “Do I need 2 body panels or 3?” The generally accepted answer is that you have two options. Click the link above for a graphic demonstration, but the short answer is to either sandwhich the straps between 2 layers that are both 220gsm or above and x-box through both body layers and the straps in between, or you can do 3 layers: straps attached to an internal layer of 220gsm or above, an additional heavyweight layer on top of the straps (185gsm or above), and a decorative layer on the opposite side (any weight, quilter's cotton is fine for this application. This method hides the x boxes and allows for a greater variety of fabrics to be used. Check out this article from SewToot about choosing padding for your soft structured carrier! While a no-sew ring sling is safe with plenty of fabric pulled through the rings, if you are sewing in your shoulder it is recommended to use 100% polyester all-purpose thread for strength (heavy duty thread is unnecessary and will likely snarl up in your machine if you aren't used to working with it) and to use a sewing machine to sew the reinforcement stitches. Hand sewing does not offer the consistent stitches and tension that a machine can. A ring sling shoulder should have at least three horizontal lines of stitching securing the shoulder in place. The hem is the finished edge of fabric. A serger finishes the edge of the fabric with overcast stitches, and is fine for keeping edges from unraveling in the wash, or especially for keeping pieces of a carrier made from a woven wrap from unraveling while you work. However, for most applications, a rolled or folded hem (in which the fabric is folded over twice, usually just about 1/4" or 1/2", and then stitched down with a straight stitch) is preferred. The folds offer more strength to prevent tears from happening, and are smoother against baby skin. Unlike most baby carrier sewing, hems CAN be safely sewn by hand, and CAN be sewn using 100% cotton thread. 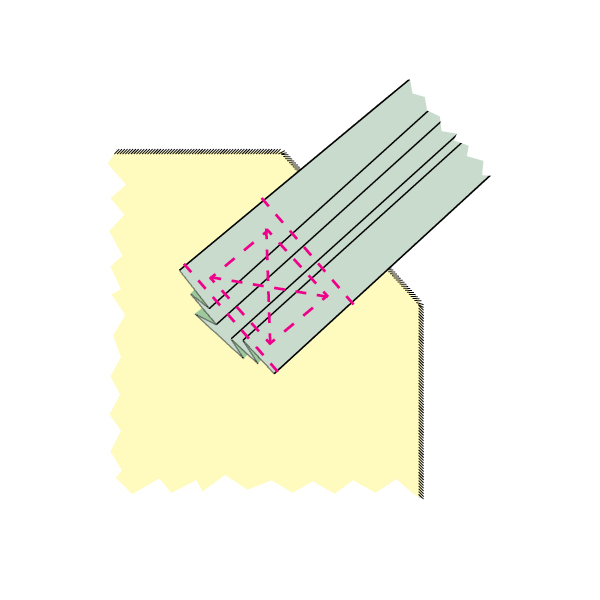 For neat, professional looking corners, you can "miter" the corners. This is done after ironing the two folds for your hems but before sewing them down. For a description of canvas, full wrap conversion, half warp conversion, and semi wrap conversion SSCs, you can check this post on Tula's website. Check out this page for more detailed safety information with your DIYs!